Changes in rainfall patterns, long spell of warmer temperatures and rise in the humidity level have allowed mosquito vectors to thrive at locations hitherto less known for outbreak of dengue and chikungunya. Unplanned construction projects, stagnation of water and dumping of discarded objects have also made the environment conducive for spread of dengue and chikungunya. As states grapple with the challenge of spike in number of patients, here is a brief rundown on the extent of damage caused by these vector-borne disease. Dengue cases have spiralled in three states—Karnataka, Kerala and West Bengal—with Delhi witnessing a sudden spurt in the month of August. The national capital has reported 487 cases of dengue till August 29, with 368 of them being recorded in August alone. In West Bengal, 5,639 people were infected by dengue till August 25 and death toll has reached 23. According to Health Secretary C K Mishra, West Bengal is witnessing a spike in dengue-related deaths because the state has more of Type 3 dengue, while places like Delhi are witnessing Type 2 dengue—a comparatively less virulent strain. The official data released by the Directorate of Health Services of Kerala shows 279 confirmed cases of dengue between August 20 and 29. 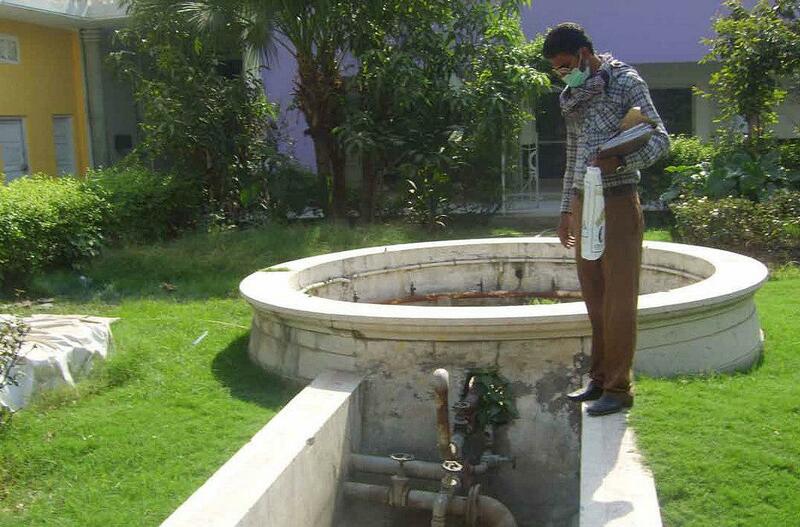 Dengue cases have seen a sharp rise in Telangana as well, with more than 175 cases being recorded in Ranga Reddy district (formerly Hyderabad district) till August 14, 2016. As on August 29, Tamil Nadu has seen over 1,200 dengue cases and five deaths. The state has shown some progress in tackling the spread by identifying breeding sources and running health camps. Ever since the first dengue patient in Dehradun was reported on July 13, the number has touched close to 500 within 45 days. According to departmental data, 497 people have been found positive for the disease till August 28. The health experts are intrigued by rapid increase in dengue cases within such a short span of time. While the total number of dengue cases in Uttar Pradesh stands at 336, this is the report from just four out of 36 laboratories designated by the state health department to conduct dengue testing. The actual figure could be much higher. 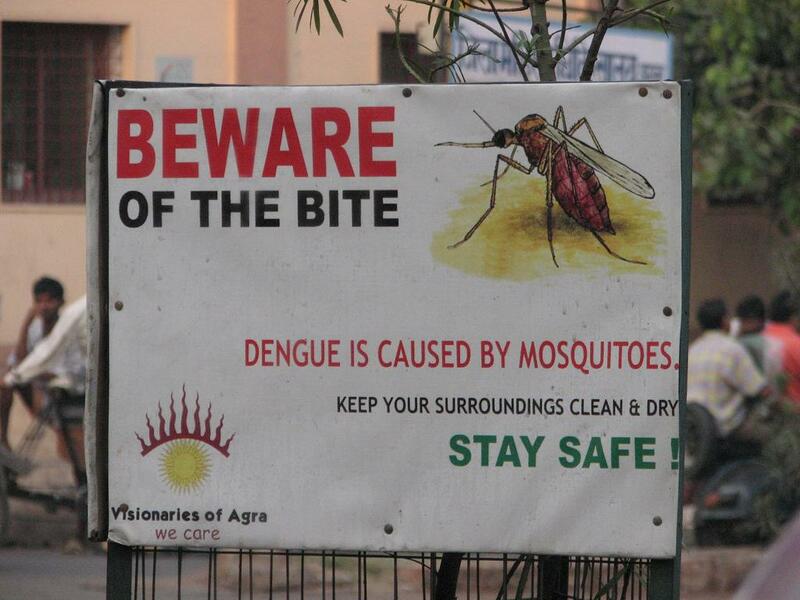 Assam, which witnessed 1076 dengue cases in 2015, has reported close to 458 positive cases this year (till August 18). The Kamrup district has witnessed the highest number of dengue cases in the state, with over 378 positive cases and one death. However, most of the cases showed the Type 1 strain of dengue. Other northeastern states, expect Mizoram, which reported one confirmed case of dengue on August 21, are not yet in the grip of these vector-borne diseases. While southern states of India are known as traditional hotbeds for Chikungunya virus, the disease has spread its tentacles to other parts of the country, especially Assam, Bihar, Delhi and Uttar Pradesh. Between August 20 and 27, 412 cases of chikungunya were recorded in Delhi, taking this year’s tally to 432 so far. In comparison, only 20 cases were recorded from January 1 till August 20. This spurt is attributed to city’s "non-immune population". People in Delhi have become more susceptible since Chikungunya virus had not been in wide circulation in the city previously. According to health experts, Chikungunya cases have been on the rise in the national capital but the instances remain under-reported due to lack of testing facilities and high cost of diagnosis. Out of 333 confirmed cases of chikungunya in Maharashtra, Pune alone has approximately 289. This is far higher than 66 cases reported cases in 2015. The number of blood samples received has doubled since last year, and the number of positive cases has increased by more than 400 per cent. Six cases of chikungunya, the first time in the season, were reported in Hyderabad on August 30 by the state-run Fever Hospital. In Gurgaon, private hospitals are reportedly getting over 50 cases of every day. The first official case of Chikungunya in Gurgaon was confirmed on August 28 when a 35-year-old man from Bihar was tested positive. 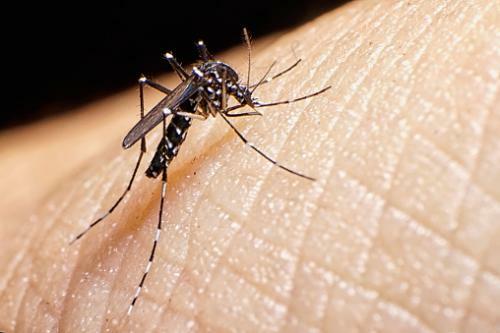 According to the World Health Organization, Dengue is a vector-borne disease transmitted by the bite of an infected female Aedes Aegypti mosquito. The mosquito becomes infected when it feeds on the blood of a person infected with the virus. After about one week, the mosquito can then transmit the virus while biting a healthy person. How many strains of dengue are there? There are 4 serotypes of the virus that causes dengue. These are known as DEN-1, DEN-2, DEN-3, DEN-4. Infection with one strain will provide life-time protection only against that particular strain. However, it is still possible to become infected by other strains and develop into severe dengue. Can it spread from person to person? Dengue cannot be spread directly from person to person. However, a person infected and suffering from dengue fever can infect other mosquitoes. Humans are known to carry the infection from one country to another or from one area to another during the stage when the virus circulates and reproduces in the blood system. Most cases occur in tropical areas of the world, including the Indian subcontinent, Southeast Asia, Southern China, Taiwan, the Pacific Islands, the Caribbean, Mexico, Africa, Central and South America. Dengue causes flu-like symptoms and lasts for 2-7 days. Dengue fever usually occurs after an incubation period of 4-10 days after the bite of the infected mosquito. High Fever (40°C/ 104°F) is usually accompanied by at least two of the following symptoms: headaches, pain behind eyes, nausea, vomiting, swollen glands, joint, bone or muscle pains and rash. What happens in severe dengue? Severe abdominal pain, persistent vomiting, bleeding gums, vomiting blood, rapid breathing, fatigue/ restlessness. What is the treatment for dengue? There is no vaccine or specific medication for dengue fever. Patients should seek medical advice, rest and drink plenty of fluids. Paracetamol can be taken to bring down fever and reduce joint pains. However, aspirin or ibuprofen should not be taken since they can increase the risk of bleeding. Patients who are already infected with the dengue virus can transmit the infection via Aedes mosquitoes after the first symptoms appear. As a precautionary approach, patients can adopt measures to reduce transmission by sleeping under a treated net especially during the period of illness with fever. Chikungunya is a viral disease transmitted to humans by infected mosquitoes. It causes fever and severe joint pain. Other symptoms include muscle pain, headache, nausea, fatigue and rash. The disease is caused by an RNA virus that belongs to the alphavirus genus of the family Togaviridae. As per the World Health Organization (WHO), chikungunya shares some clinical signs with dengue, and can be misdiagnosed in areas where dengue is common. Chikungunya is transmitted through mosquito bites. Though the virus does not spread directly from one person to another, a female mosquito that bites an infected person can spread the disease to other human beings. Most commonly, the mosquitoes species Aedes aegypti and Aedes albopictus, transmit the virus. These mosquitoes can be found biting throughout daylight hours, though there may be peaks of activity in the early morning and late afternoon. Chikungunya has been identified in over 60 countries in Asia, Africa, Europe and the Americas. What is the treatment for chikungunya? There is no specific antiviral drug treatment for chikungunya. Treatment is directed at relieving the symptoms, including the joint pain using anti-pyretics, optimal analgesics and fluids. There is no vaccine available for chikungunya. What preventive measures should be taken during a chikungunya outbreak? Reducing the open breeding grounds of mosquitoes like artificial water-filled containers, drains, or natural bodies with still water is a key prevention measure against chikungunya and other mosquito-borne diseases. During outbreaks, insecticides may be sprayed to kill flying mosquitoes, applied to surfaces in and around containers where the mosquitoes land and used to treat water in containers to kill the immature larvae. For protection during outbreaks of chikungunya, clothing which minimises skin exposure to the day-biting vectors is advised. Repellents can also be applied to exposed skin. How are dengue and chikungunya different? The diseases are caused by two different viruses: Togaviridae alphavirus for chikungunya and Flavirideae flavivirus for dengue. Common symptoms between the two diseases can lead to misdiagnosis. While the acute symptoms of chikungunya resolve within 7-10 days, dengue patients may develop life threatening consequences and require hospitalisation. Once infected by chikungunya, a person develops life-long immunity. Since there are 4 distinct dengue viruses, a person can be infected up to 4 times. Infection with each dengue virus type confers lifetime immunity for that specific virus type. A change of climate over time due to natural or man-made causes is increasingly playing an important role in spreading the extent of vector-borne diseases (VBDs). According to the World Health Organization, one of the major consequences of climate change is the rise in the number of VBDs, besides heat strokes and skin diseases. The development of mosquitoes and pathogens in their bodies is affected by climatic conditions, experts says. Ramesh Dhiman of the National Institute of Malaria Research told Down To Earth that temperature is essential for the development of malarial parasites. “Insects are cold-blooded. Temperature affects the development of vectors or pathogens,” he said. In India, Jharkhand and Chhattisgarh are already suitable places for the transmission of vector borne diseases. But the worrying thing is that in colder areas such as the Himalayan region, projected temperature rise can trigger the breeding of mosquitoes and the rate of transmission. Places like Jammu and Kashmir and Uttarakhand will have to deal with vector-borne diseases, according to Dhiman. As dengue is the most deadly of all VBDS (others being malaria, filaria, Japanese encephalitis, chikungunya), Dhiman added that preventing water storage and community participation were vital to prevent outbreaks. The major cause of dengue is water storage in all types of containers. As it is not possible for the government alone to ensure that water does not stagnate, the participation of people becomes important here, he said. The epidemiology of dengue in India has changed over the years in terms of strains, geographical location and severity. Along with temperature rise, rainfall, relative humidity and wind velocity also play an important role in the development of parasites in insects. According to Asish Ghosh, the director of Centre for Environment & Development, a Kolkata-based non-profit, increasing cases of VBDs can be regarded as the indirect health effects of temperature variations. 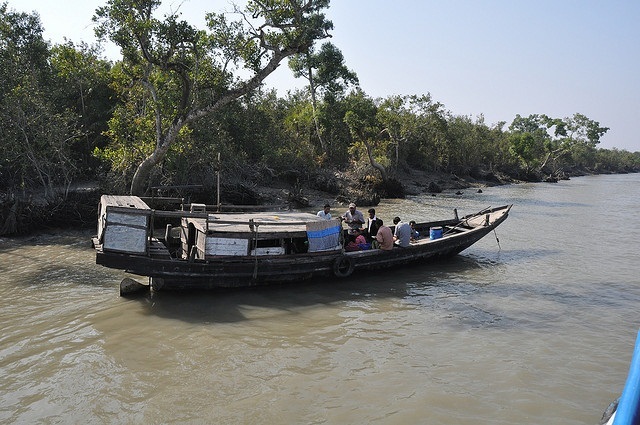 Temperature rise can lead to floods, especially in the coastal areas and this may, indirectly, lead to an increase in VBDs. Stagnant water serves as breeding grounds for mosquitoes, and thereby, increases the chance of dengue and malaria. Ghosh said that all tropical diseases, especially malaria, are prevalent in the southern hemisphere. Mosquitoes breed faster due to high temperature and moisture level. Several studies have shown the higher rate of breeding and outbreak of VBDs occur in hot and humid conditions. "By 2030-50, India will witness a high level of malarial outbreak and will become the malaria capital of the world," Ghosh added. The mosquito parasite is already present in the country and further temperature rise will make the situation worse. Ghosh emphasised on adaptation measures, especially in coastal areas, to cope up with the situation. According to him, coastal areas should be equipped with vector-borne disease control programmes. People should be encouraged to use mosquito nets. Water should be purified to prevent contamination. In India, VBDs are also prevalent due to poor sanitary conditions, Ghosh said. Water-logging and open defecation make matters worse in the country, the expert added. If it is caused by mosquito bites there is a perfect solution-neem tea. One teaspoon of neem is enough per 7 liters of hot water. And there is space for organic neem to be grown in India. See what Vishwaguruji Maheshwarananda has accomplished in Rajasthan with regards to that. And also check on Baba Ramdev's work with regards to combatting dengue. One cup of neem tea every day along with a meal and no mosquitos will bite you. This I know from experience. Invest in organic neem farming.